CMJ Israel has a bold vision for developing its properties both in Jerusalem and in Tel Aviv. 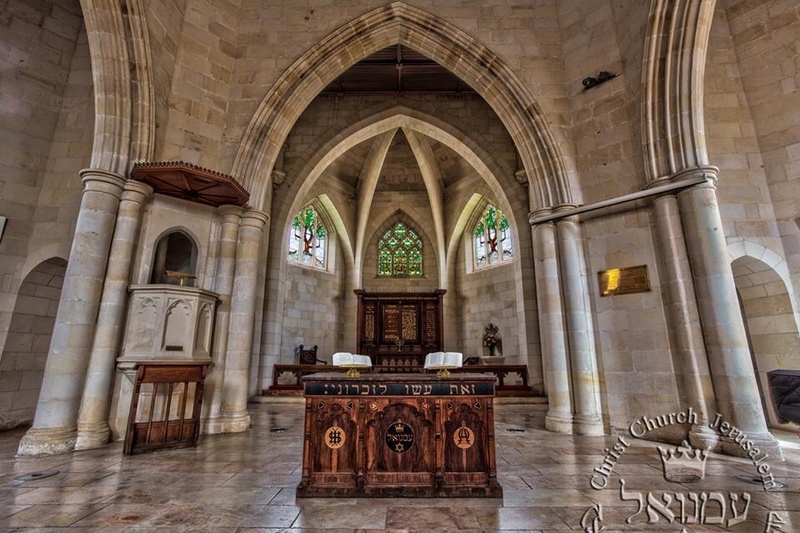 Those of you who have visited Christ Church in the old city will have some idea how strategic these messianic communities are in the land of Israel at this time. CMJ also has strong links with messianic leaders like David and Karen Davis who visited Australia recently. On the international front, we are holding our first consultation in November. You will be represented by one of our Directors, Fraser Harding, and myself. I believe we have a key role to play in the region of South East Asia where there is much passion for fulfilling the destiny of the ‘one new man’ in accordance with Ephesians 2:15. Back home, I have also joined forces with Jill Curry of Shnat Ratzon Ministries to lead an intercessory tour to Israel via Greece next month. The highlight of this tour will be the 95th anniversary of the Battle of Beersheva. This will provide Kelvin Crombie with another opportunity to reveal the significance of this event in which the Anzacs Light Horse played such a key role. The timing of this tour looks is such that we are going to be standing with those who live in Israel – both Jew and Gentile – at a season during which the ‘one new man’ has more enemies than ever. As you may have seen on your TV recently, these include both Jewish Israelis and Christian ‘Palestinians’. They have developed a world view which replaces the eternal covenants of G-d not with the church (Replacement Theology) but with the Palestinian people as the “rightful owners of the land”. Anything you can do to support this endeavour in the form of prayer or giving would be hugely appreciated by all concerned. Brachot (bless you) as you bless Israel.